Mark Sagona’s latest exhibition The Painted Psyche and Other Narratives 2000-2018 is on display at Palazzo de la Salle in Valletta until tomorrow. The collection of paintings focuses on the concept of deep inner feelings, transmitted through the Gozitan artist’s continuous research on light and colour. Through abstraction, Sagona conveys strong emotions that represent his state of mind at specific points in time, as well as an evolution of his own visual language. The new collection is presented alongside previous works which show the artist’s journey from a figurative artist to abstraction. Contrary to his previous shows, the artist creates works which flow directly and immediately from his present state of mind. 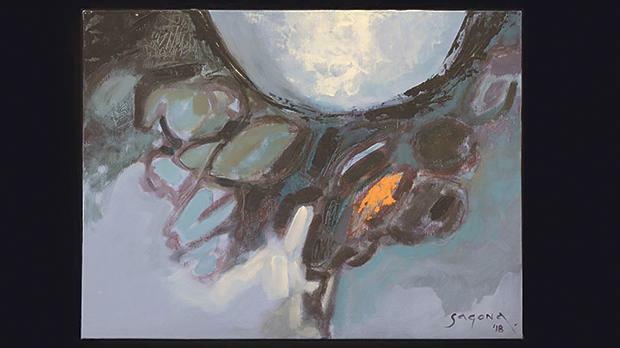 Sagona continues to experiment with the immediate moment where he attacks the canvas spontaneously. The exhibition is open today from 8am to 7pm and tomorrow from 9am to 1.30pm.